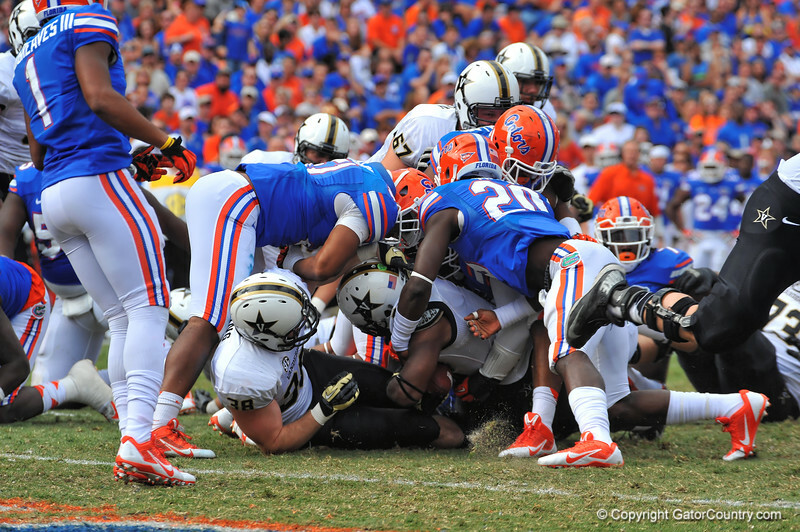 Vanderbilt Commodore RB Jerron Seymour is met by the Gator defense as he tries to punch the ball into the endzone in the third quarter. Florida Gators vs Vanderbilt Commodores. Gainesville, FL. November 9, 2013.